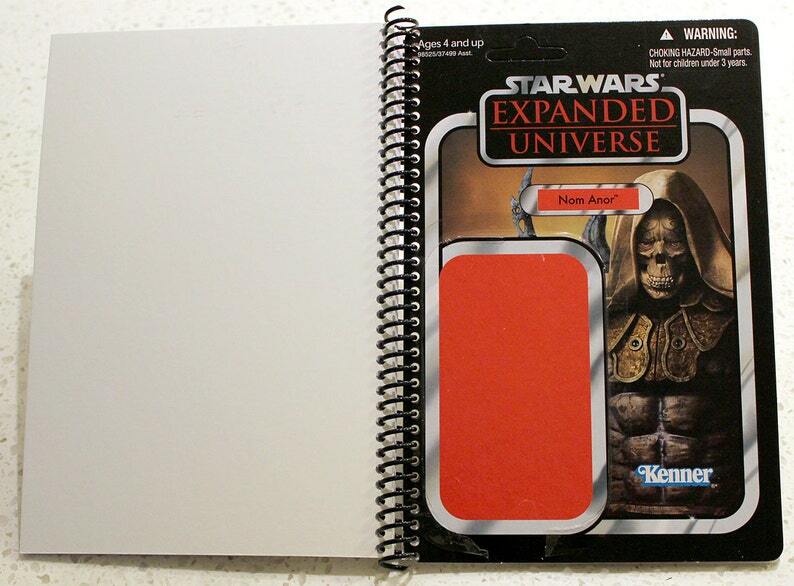 50-page, blank paper, spiral-bound notebook with 2012 Expanded Universe Vintage-Style Kenner cardback featuring Nom Anor on the cover. Note: All items are in-stock and take 2-3 days to prepare and ship. Actual notebook with actual cardback condition shown.